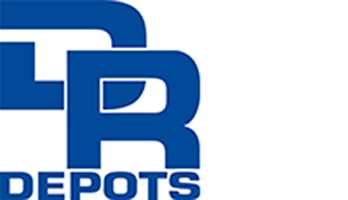 The D&R group of companies, situated at the heart of the port of Rotterdam, offers national and international customers a full scope of shipping and logistical services across Europe and Global origins and/or destinations. All including a competitive high service supply chain solution supported by up-to-date information technology and tailor made to exceed your requirements. With the several specialities in house, we handle your cargo with the most integrity and against an unrivalled service and costs. Furthermore Rotterdam’s strategic location in Europe, open and rapid link with the sea extremely deep navigation channel and consumers: the hinterland can be reached by rail and other transport modes. Click logo’s to visit the website. Cross Limits Logistics B.V. is a young, innovative and 100 % neutral logistic provider whom is specialized in transport of your goods in containers by rail, water and/or road through entire Europe and the GOS countries.With our wide knowledge and experience within these modalities we offer you a wide scale of services and possibilities in which SERVICE is the Keyword cause on of our highest standards is Service. With the start of Dutch Road Rotterdam the D&R Group is aiming to expand their influence within the complete supply chain. This company provides transport solutions via container-chassis, kipp-chassis, tautlines, open/closed/tilt/ semi with tail lift /low-loading and mega-trailers. We solve time-critical challenges by creating the best solution in Full Truck Load (FTL) and Less than Truck Load (LTL) flows.